If you have a decent-sized lawn or a backyard, a chipper is a must-have tool for reducing small trees and branches into usable wood chips. This machine presents a practical investment, especially for DIY hobbyists who love to personally handle property maintenance. 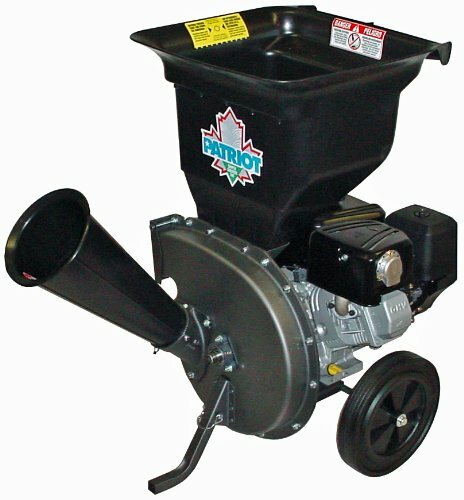 Chippers are available in different sizes and can range from small units capable of chipping 3-inch diameter wood materials to larger ones that can process up to an 8-inch diameter. Generally, your choice of chipper will greatly depend on your specific needs, specifically the size of wood materials and the type of power required to get the job done. If you plan to use a chipper for firewood, these are usually within the 4 – 5-inch range. However, you will want to invest in a heavy duty, high powered machine that is capable of chipping wood with more efficiency. 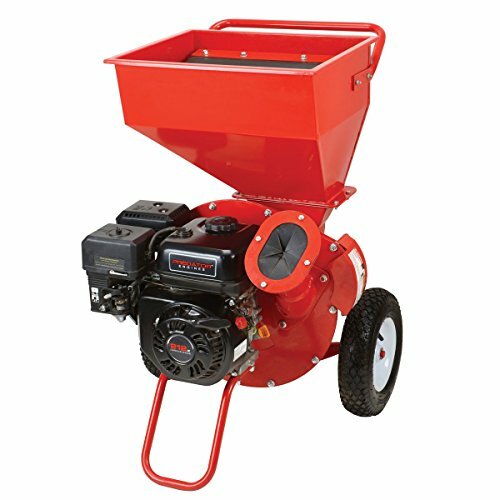 Due to the exceptional power, convenience and usefulness of chippers, it is a popular investment piece designed for both residential and commercial applications. 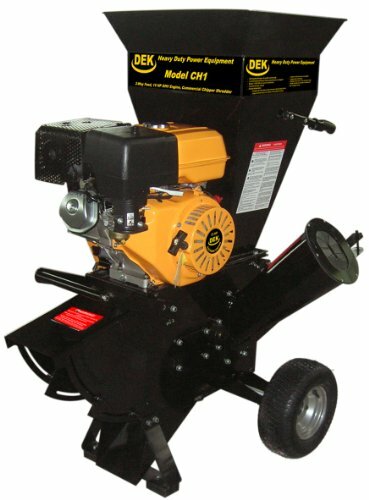 This is a commercial-grade 15 HP, 420cc chipper/shedder/mulcher that is specifically designed to handle 4-inch diameter wood materials. As an environmentally responsible machine, you can process branches and trees into highly useful ¼-inch wood chips, which easily allows you to save money by recycling wood materials from your yard or construction site. 12 bags of yard waste can be converted into 1 bag of wood chips. This means you cannot only look forward to saving money, but also resource hauling and disposing of wood debris at the same time make the most of the natural resources by maximizing its use. This machine features a safety mechanism that is designed to enhance its durability. The kit includes a chip collection bag, electric starter, protection gear like earmuff, gloves and goggles, as well as a trailer hitch, hardened steel blade and belt. If you are looking for superior chipping power, this 10 HP engine from Patriot will definitely impress you. It is known to efficiently process 3 inch diameter wood materials as well as shred leaves with its y-hammer system. The machine also comes with a side discharge that allows you to easily and conveniently work in the stationary position so you don’t have to constantly move the chipper from one spot to another. This machine is also 50-state compliant and is designed for both residential and commercial applications. It is especially ideal for large property owners who are looking to cut down on upkeep and maintenance and those who enjoy gardening and a bit of farming on their property. It’s a great investment piece that you can expect to serve you for a great number of years thereby giving you real value for your money. A machine built to deliver, look forward to years of efficient hemming and hawing with this chipper. Built for heavy duty work, this unit can be used for both residential and commercial applications with its 6.5HP machine, designed to process wood materials up to 2.5-inch pieces. Maintenance of your property will never be this easy and fuss-free. 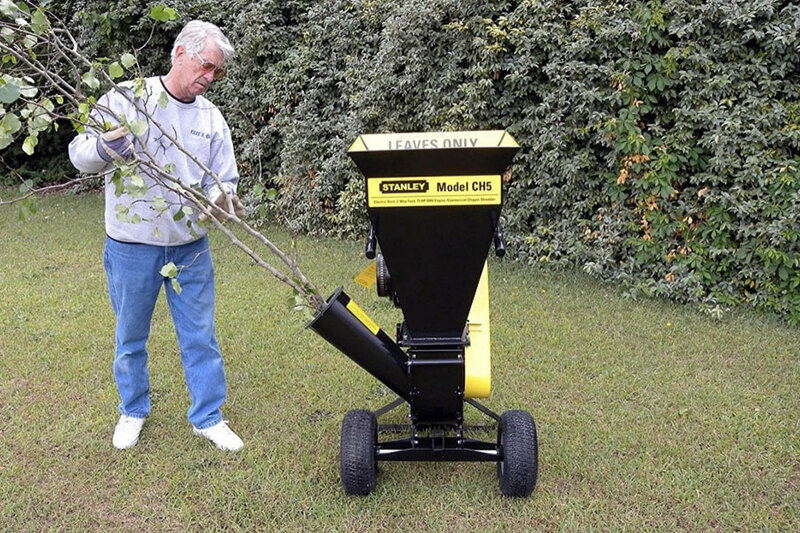 This machine features a great recoil start with four powerful chipper blades that can easily handle and process 1.25-inch wide limbs and branches. It also comes with a 2-way inlet feed.